Always at the forefront of innovation within the photographic industry, Nikon has announced the COOLPIX S500, a camera that combines extensive features and the latest technology. This solid yet lightweight camera is encased in a stylish stainless-steel body. Sleek design and classic contours make this model as striking to look at as the quality pictures it produces, and is testament to Nikon’s commitment to quality. 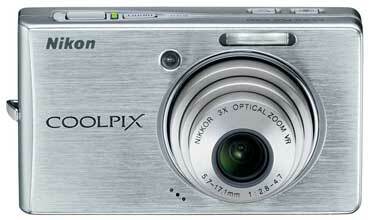 The technology and the features inside the COOLPIX S500 are worthy of their impressive casing. The combination of 7.1 megapixels of resolution and the powerful 3 x Zoom-Nikkor lens with a range of 35-105mm enables the COOLPIX S500 to deliver excellent picture detail whether the subject is a close-in portrait or a broad panorama, even after the photograph has been enlarged. The Vibration Reduction function is able to compensate for camera shake to produce clearer, steadier pictures, and also prevents blurring in lower-light conditions. Light-sensitivity of up to ISO 2000 further guarantees picture clarity in unsteady or poorly-lit conditions. 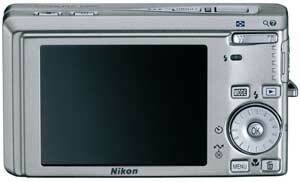 Nikon is constantly seeking ways to make the experience of taking a photograph as simple and as exciting as possible. All functions are optimised to respond immediately, ensuring that the user never misses a fleeting opportunity for a great shot. The COOLPIX S500 powers up in an impressive 0.8 seconds and has a practically imperceptible shutter release time lag of less than 0.005 seconds.